Update on the Static Kill…what’s the issue with the relief wells? ie…Who’s in Charge? "Yeah, I know...I swear to God they said I was in charge"
BP embarked Tuesday on an operation that could seal the biggest offshore oil leak in U.S. history once and for all, forcing mud down the throat of its blown-out well in a tactic known variously as “bullheading” or a “static kill.” The pressure in the well dropped quickly in the first 90 minutes of the procedure, a sign that everything was going as planned, wellsite leader Bobby Bolton told The Associated Press aboard the Q4000, the vessel being used to pump in the mud. Hours later, Bolton told the AP that the procedure was still going well. “Pressure is down and appears to be stabilizing,” he said. He said earlier that the work could be complete by Tuesday night or Wednesday, though BP said the effort could continue through Thursday, and engineers won’t know for more than a week whether it choked the well for good. Course, nothing in the Gulf can be done it seems without the Coast Guard and British Petroleum being at odds over something; remember the relief wells? BP PLC Senior Vice President Kent Wells said Monday that engineers may pump cement directly into the busted well through the failed blowout preventer via a surface ship, rather than wait for the relief well’s planned completion later this month. That idea isn’t new — but BP has never before indicated it might forgo use of the relief well altogether in direct attempts to plug the leak. 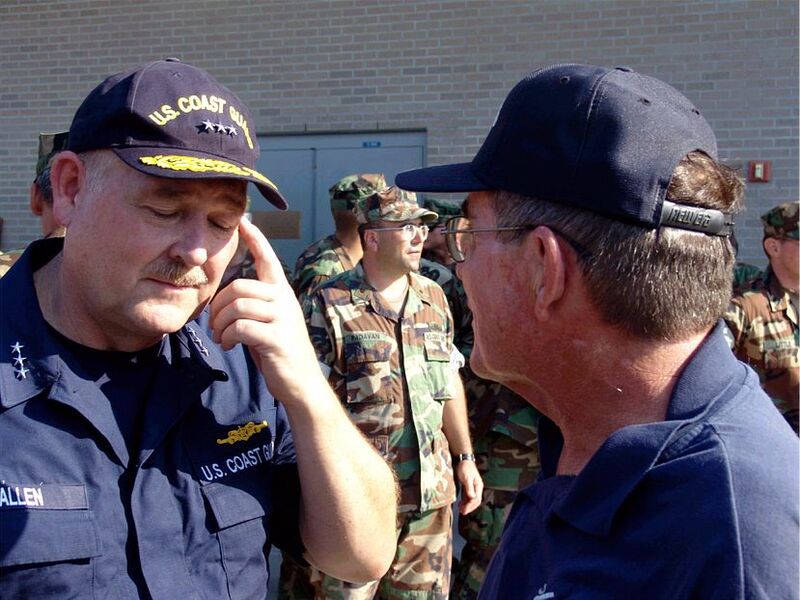 But retired Coast Guard Adm. Thad Allen, the government’s point man for the spill, made it clear that to be safe, the gusher will have to be plugged up from two directions. He said the 18,000-foot relief well that BP has been drilling over the past three months will be used later this month to execute a “bottom kill,” in which mud and cement will be injected into the bedrock 2½ miles below the sea floor. Here’s how it goes: 1. Thad makes a statement. 2. British Petroleum disagrees with that statement. 3. Time passes, typically a day or two. 4. Thad changes his statement. 5. British Petroleum pats Thad on the head and everyone lives happily ever after.